A garden sprite comes across a garden gnome, and falls in love. 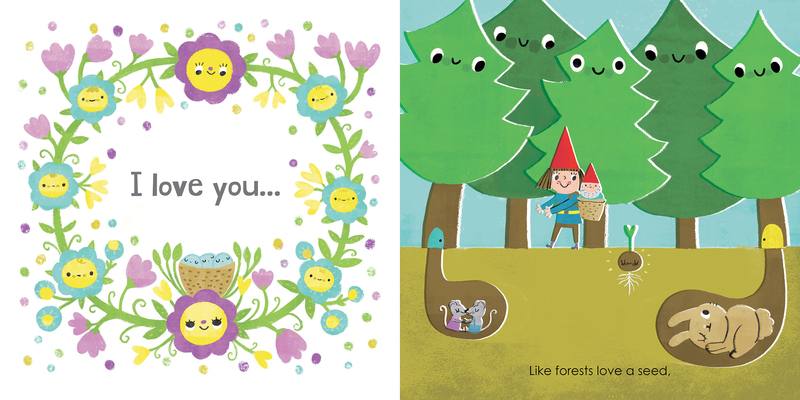 She takes the gnome on a playful journey through the forest, across the hills, to the beach, and further still. All the while, she expresses how she loves him: like flowers love the sun, like forests love a seed, like balloons love the sky. 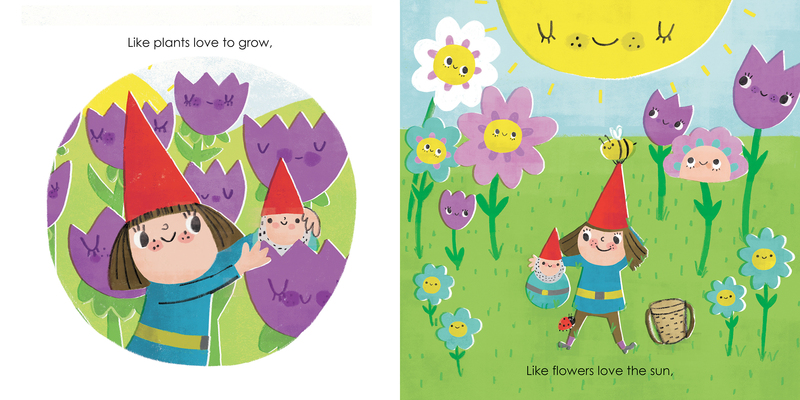 These inventive similes play on concepts drawn from nature and are paired with quirky, whimsical art full of details to discover—like the troubling moment when the gnome becomes cracked, but is mended with some ingenuity and the help of cheerful forest friends. Moving progressively through the seasons, from spring to winter, the book is a sweet, bright bedtime story, paced to read aloud. 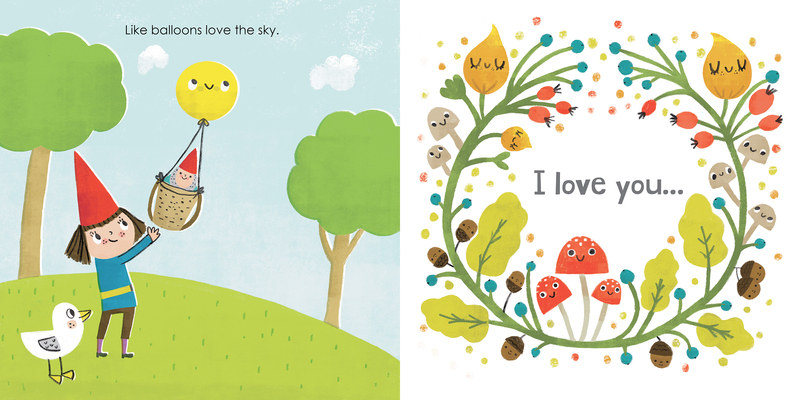 I Love You Like... can help inspire readers to invent their own creative expressions of love as part of a nighttime ritual and will also be relatable to any child who adores a favorite toy.